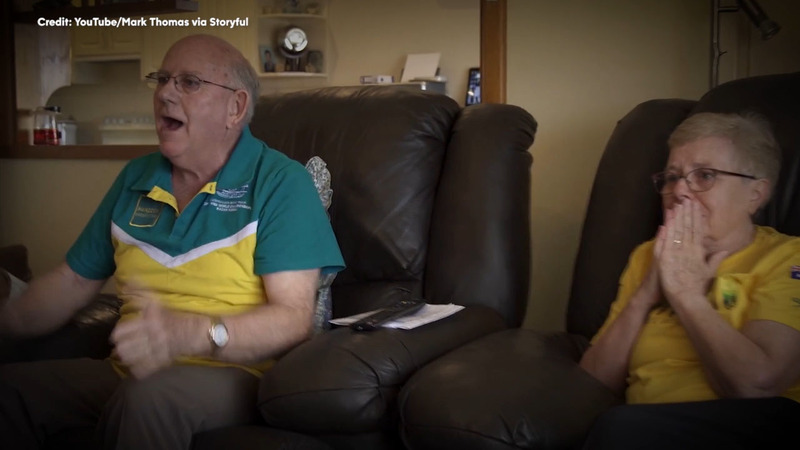 Kyle Chalmers' grandparents shed tears of joy when they see him when a gold medal in the 100m freestyle event. AUSTRALIA -- Australian swimming phenom Kyle Chalmers won the men's 100m freestyle event in the 2016 Rio Olympic games. Kyle's grandparents were watching back in Australia and had this heartwarming reaction filled with cheers and tears.